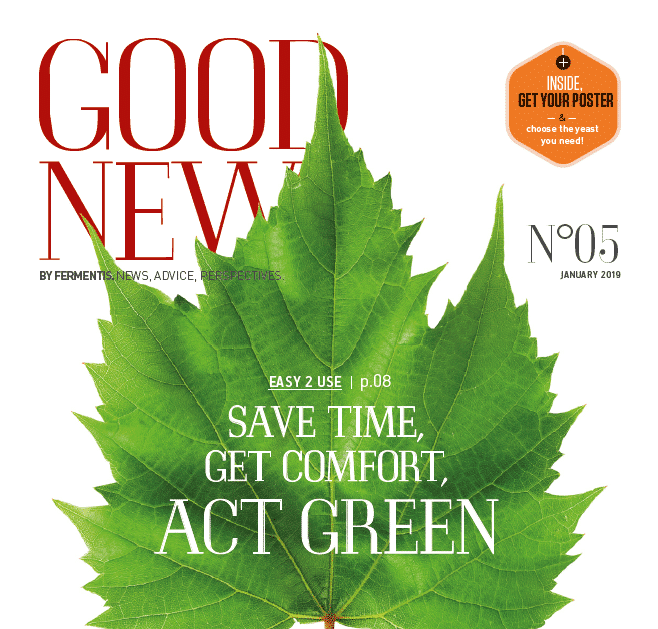 GOODNEWS #5 HAS BEEN RELEASED! 2018 has been really rich for the Fermentis teams all around the world, new comers, new partners, new tradeshows… What’s on the GOODNEWS #5 summary this year? Understand more about aromatic profiles in wine. Make your choice! By finding the right yeast for your wine with our technical tools. Download our 5th wine newsletter by clicking on the picture!